Here’s our latest Instagram Case Study. It’s the DO Lectures on Instagram Case Study and it’s short and so very sweet – just like the Do Lectures. The day before the Do Lectures Wales Startup event in 2013, we started the Do Lectures Instagram account keen to connect the many people interested in the Do Lectures via another avenue. Instagram is a great platform for the many of the event participants and those who couldn’t be there. Once the account was started, the Instagram bio and Do Lectures photo was loaded, we posted high resolution, intriguing photos of the 2012 Do Lectures – 4 photos over the course of the first day with relevant hashtags. Once the event was in play, we posted insights to the event, then since the event, we have posted photos from the 2012 event – once 2013 high resolution images become available, we may publish those, though the photos being shared are timeless. The point here is that the new contemporary Instagram channel aligns well with the brand, plus we’re providing an easier way for followers to see insights they want, and we’re delighting people with photos so they can reminisce, enjoy, engage. The Do Lectures Twitter account and other online sites has high engagement which is part of the success of reaching 214 followers within a month. A new channel & increased brand awareness via a fast-growing platform. 214 Instagram followers in the first month. A great Social Media Case Study helps you to tweak your Social Media Strategy and plans. 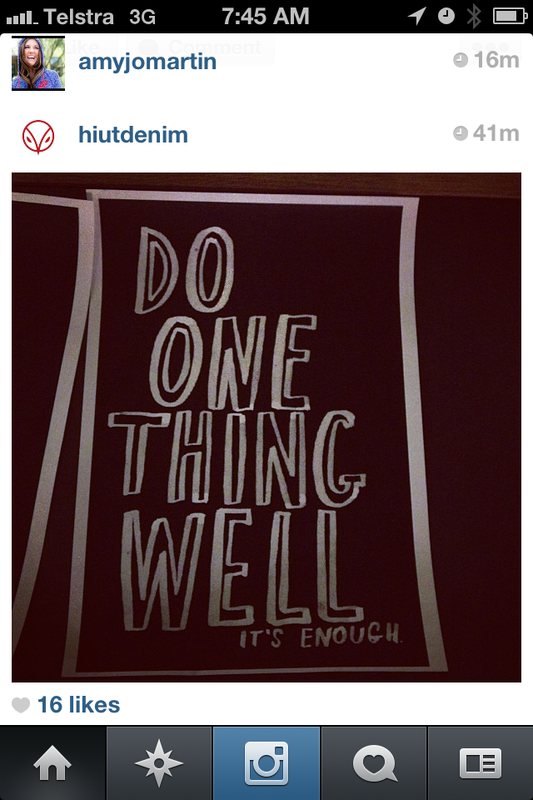 Here comes the Hiut Denim on Social Media Case Study. Who is doing well on Social Media? Hiut Denim… And your business can too! Captain Sam Bell travelled to Hiut Denim to spend time being inspired there last year. Online, Hiut showcase beautiful objects made by similar companies who put a lot of thought, effort and beauty into their products. They show trends that have come to life, great quotes and interesting areas of their business (such as the “Grandmasters” who make the jeans). Hiut don’t show everything of the business. Hiut Denim creates mystery around the every day life of making jeans. Check out their website, interesting email newsletters, their Yearbooks, Twitter, Facebook, Linkedin and Instagram. Get in touch if you want us to add to what you’re doing. We’re full of great ideas from great businesses such as Hiut and we are inspired by you. We seek to work with amazing people and brands, like you. You or your company may be next on our flight plan! Who is doing well on Social Media? 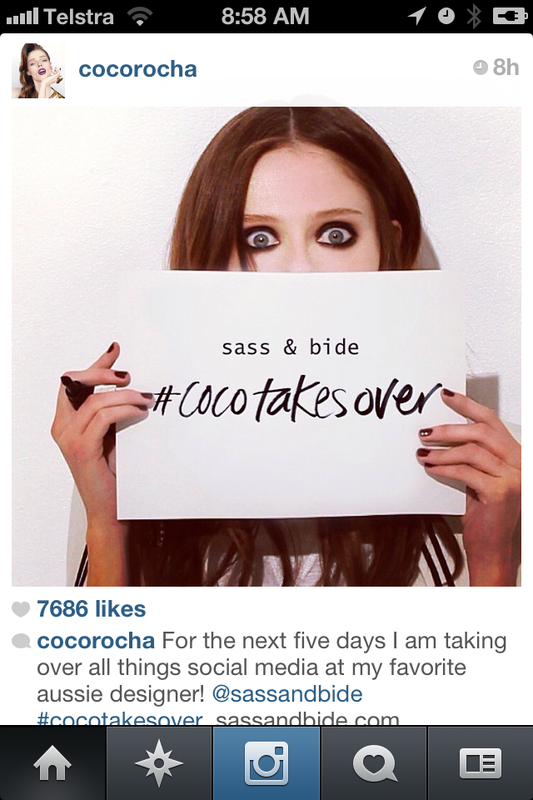 Coco Rocha…And how you can too! Having followed model Coco Rocha since I came across her advocating women empowering themselves in less of the ‘bra-burning’ feminism ways of the past and more in line with ‘just be who you are and do what you do well’, I’ve enjoyed seeing her putting her wisdom and humour online in words and showing behind the scenes to her fashion shoots. She’s connected with leading digital people so is often using the latest app’s / technology and she led the way with her website being an integration of app’s and sites she uses – her blog reverse-chronologically shows her most recent Instagram photo / blog post / video – which gives her website a dynamic and alive perspective. Clever. The more alive your website, the more it’s a reflection and extension of you in real life. Coco Rocha does a great job of showing she’s a model and more. She’s a wife, she’s clever, she’s on TV, she loves fun holidays, is a fashionista and more. Coco is showing her uniqueness – certainly not everything she does, though enough to invite others to learn more of what drives her and the contribution she’s making. Her Social Media efforts have afforded her fabulous opportunities – in the past few weeks, she has started to do a lot more alliances with brands using all of her Social Media channels. She’s a leader in this space. What can you learn from this – how are you leveraging your online profile and are there clever campaigns Coco is doing that you can use parts of to suit you? Go. Do! Be great. Lift-off online! We’ve created collections of people and businesses being real and fun online (click through to this Pinterest board or the same great examples via Facebook). They’re to inspire you to showcase what’s unique about you and your business online – to whatever level you’re comfortable with. Go do it. And if you need help, we’re interested to hear via Twitter, Facebook, Google+, or LinkedIn. Who is doing well on Social Media? Jamie Oliver. And how you can too! 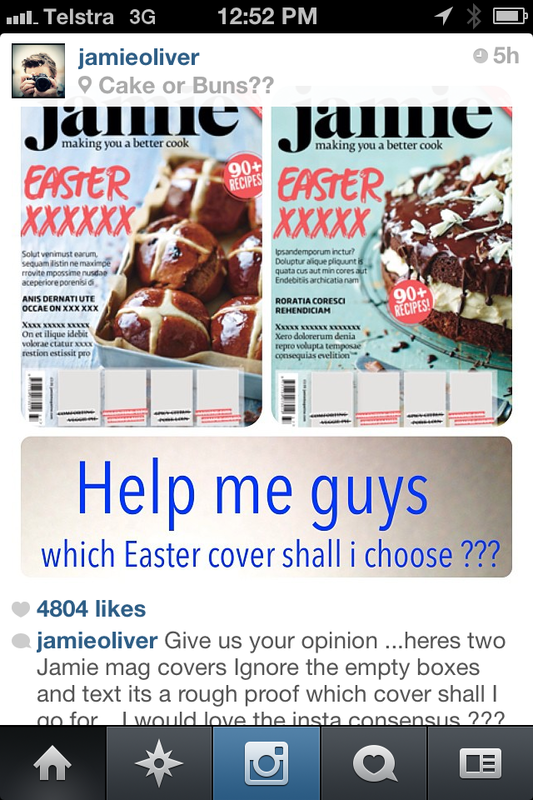 Jamie Oliver is a #highflier on Instagram. Within a few minutes a photo on Instagram has 200+ likes from engaged people and generally each photo reaches over 16,000 likes and numerous comments. He recently flew to new heights with a massive number of comments to an instagram photo – see our recent blogpost about it here. Jamie Oliver has been profiled in any training course we’ve done. He’s so easy to use as a great example of someone showcasing who they are online. His recipes, life, restaurants, and food are fascinating to many. And he’s fun, down-to-earth and mischievous. His website and blog and many food ventures are always supported through creative social media and he is personally involved, sharing interesting insights to his life. His posts on Instagram average one per day. He’s consistent. Review who you wish to reach online and where they are, what sites they use, what style they like, what words / videos / photos are engaging them. Look at examples of people and businesses being real and fun online (click through to this Pinterest board or the same great examples via Facebook – they’re to inspire you to showcase what’s unique about you and your business online – to whatever level you’re comfortable with) and work out your personal style – hot tip: what comes naturally to you is sustainable over time. Review what information you want to put online – words, videos, photos, audio – and what sites (Twitter, Instagram, your own blog/website, Facebook, Quora, YouTube, Pinterest) you tend to – which are easy for you. Review how often you can be online – be ruthless – do you have an hour a week, or more or less. How often do you wish to post something online and on which sites? Allocate time in your diary if this helps. Remember to allocate time to replying to people too – this may be ‘on the fly’ as you’re commuting or doing other activities, if you have your sites on your smartphone/iPhone etc. Allocate time up front to do training to learn new sites. Work out how you wish to link your words with the business you work in – do you want a link from your website to your business? These are the main tips, plenty more to cover on other blogposts we publish and they are all available, tailored to you via our Online Coaching sessions – click here to learn more – or contact us using the form on your right or by clicking here. We’d love to see you looking amazing, showcasing your clever online, and attracting new customers or relevant people that have you connected to interesting people in the world and locally. Who’s doing Social Media (and business) well? Businesses and people such as Hiut Denim, Tom Bihn, Coco Rocha, Jamie Oliver, Two Paddocks, Humans of New York, JR, and Air New Zealand are flying high around the digital world. They show off what they do well, and expose insights of the magic of who they are and how they bring to be something fabulous. They’re creating fun, mystery, interest, mischief, and insight around what makes them unique and special. They’re not on all sites. The sites they are on, they do well. Fasten your seatbelt. There’s more detailed examples coming to inspire your version of flying high online! While you wait for the next post on great examples of people and companies flying high, click through to our Pinterest board, and our clever Digital Pilots Twitter List. Enjoy!